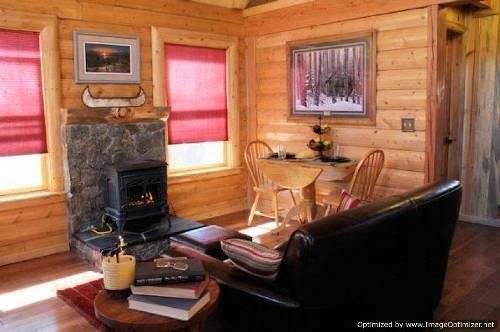 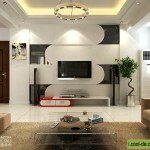 Having a home, a is an important extension of who you are. 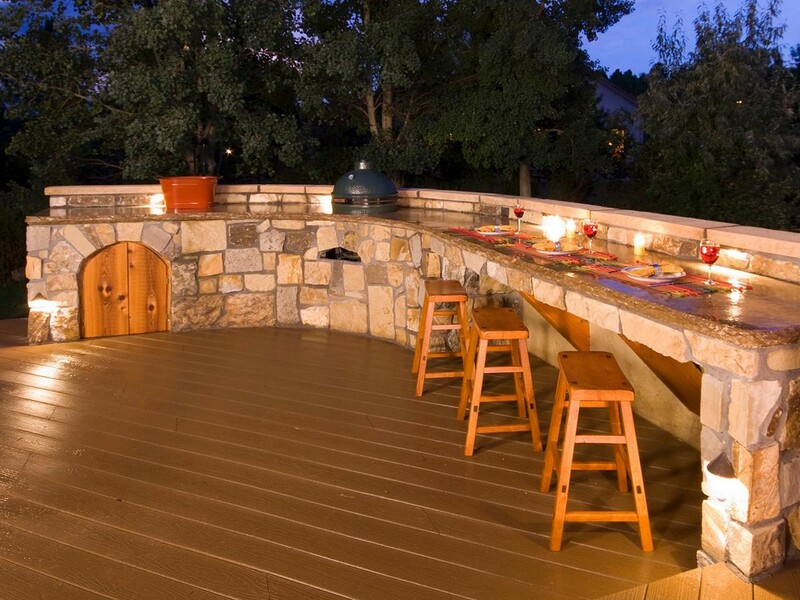 The decor and appearance of your house says a lot about you, however, adding additions to your home can get really expensive. 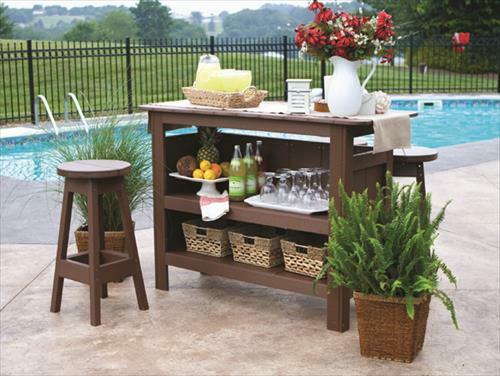 DIY outdoor bar designs are a wonderful way to add cool additions to your house without having to pay all of that cost. 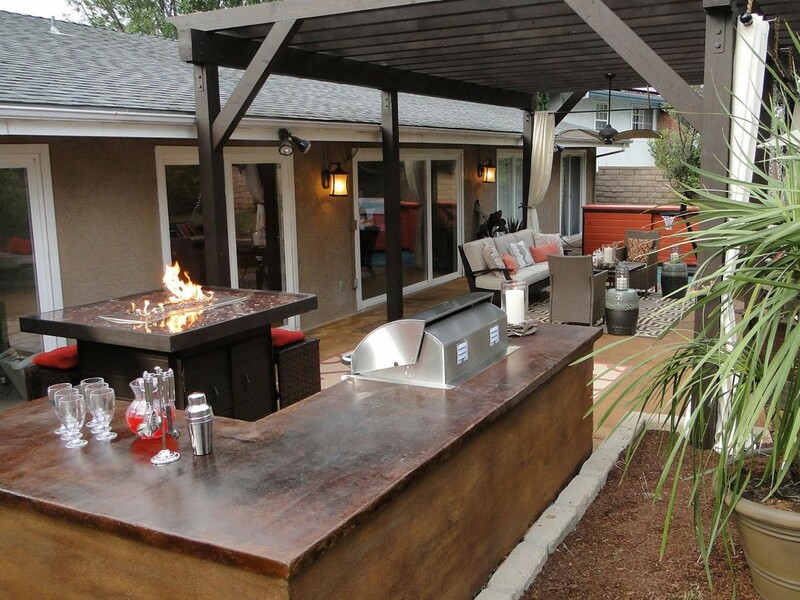 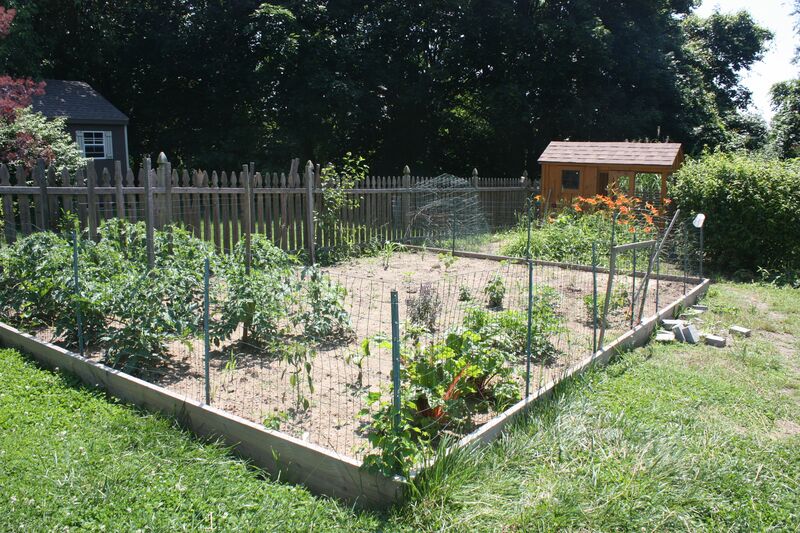 If you have a backyard you may be wondering what to do with your outside space. 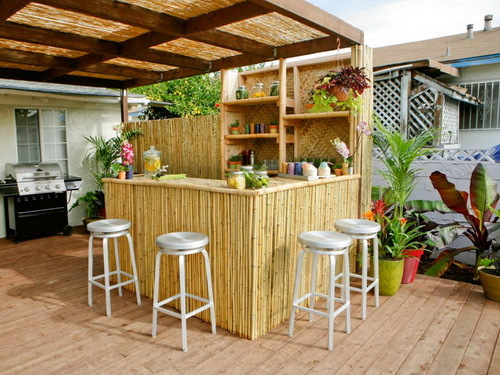 One of the easiest DIY projects you can take on for this area, is to implement an outside bar design. 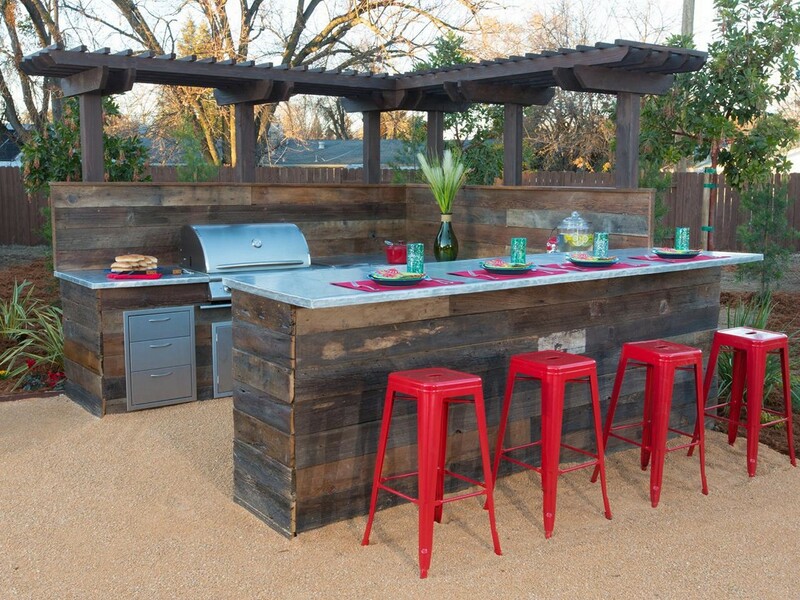 This can be a really smart use for your space and add life and fun to your outside area. 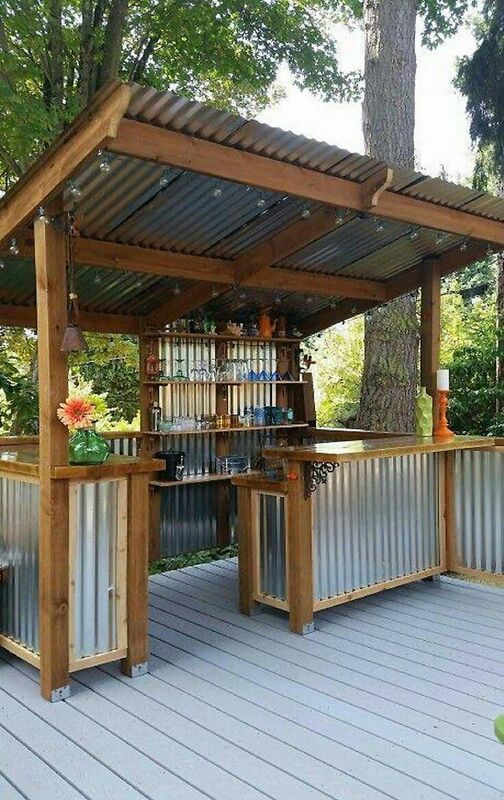 The first step in making your own DIY outdoor bar is finding the right materials. 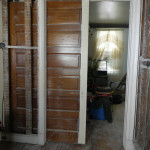 There are a lot of cheap alternatives you can use beside going to Home Depot and spending hundreds of dollars on lumber. 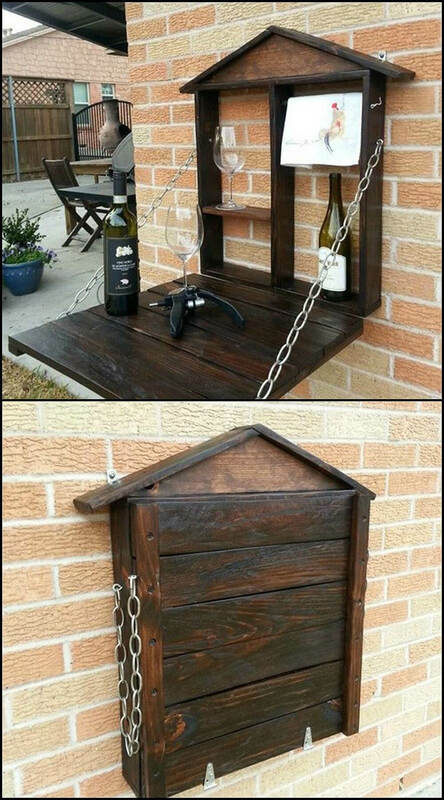 One of the best materials you can find are old wooden pallets. 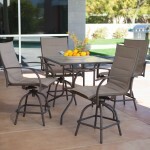 You can usually find these for free being thrown away at restaurants, or large grocery stores. 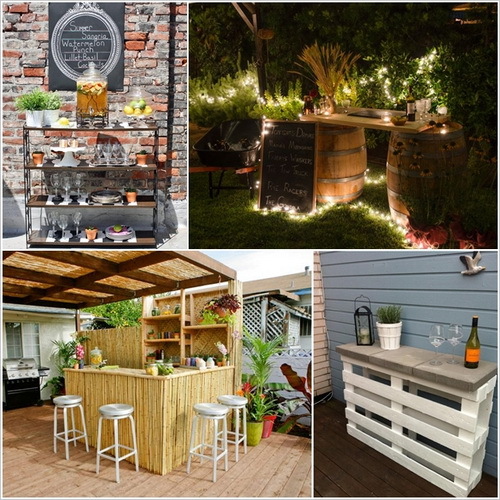 These pallets are typically used to bring in large amounts of food and are perfect for building smaller structures like an outdoor bar. 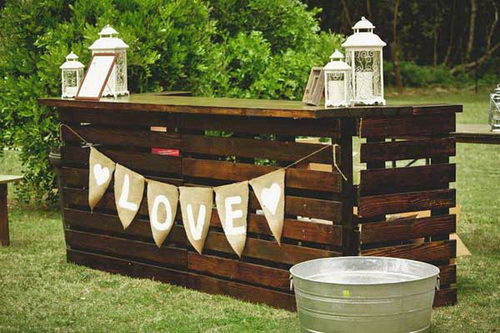 It is very easy to pull apart these pallets to reconfigure them into a new shape. 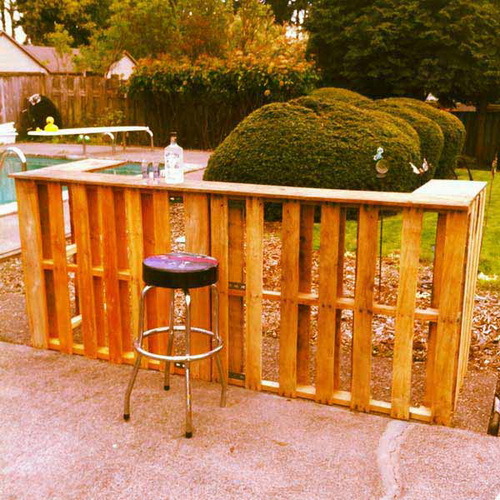 You can also get creative, and stack these pallets in an interesting way to build your outside bar. 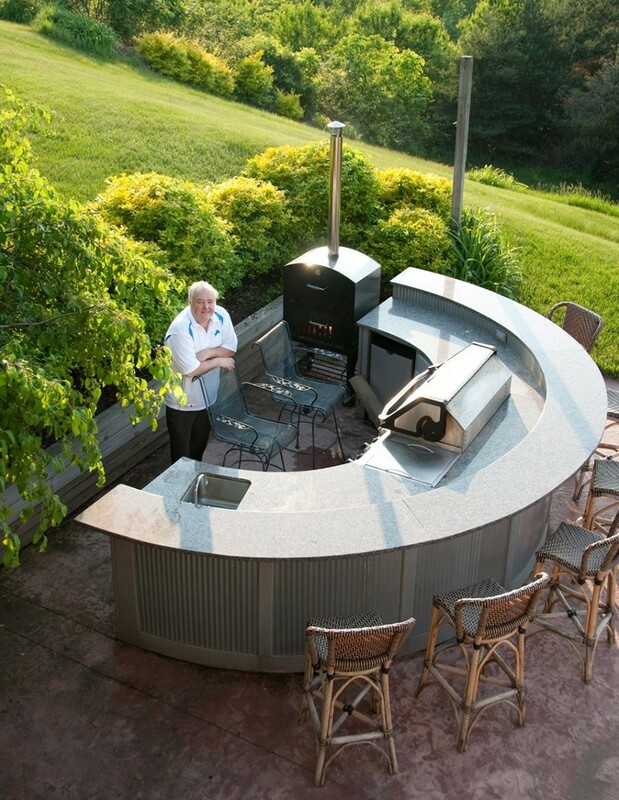 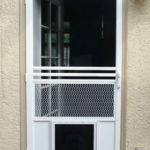 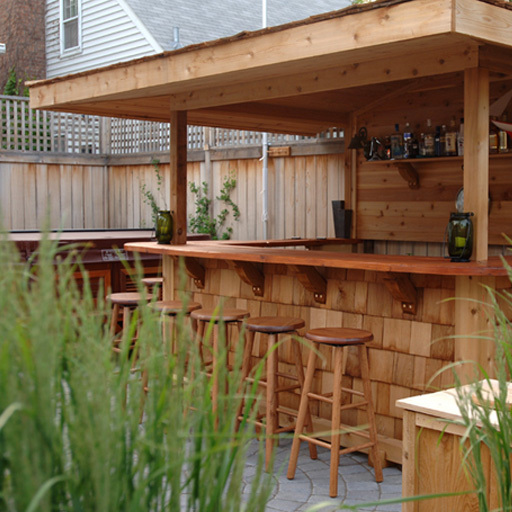 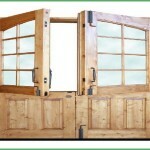 There is really no limiting the different types of designs you can use to build your outside bar. 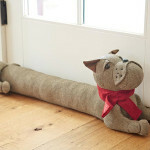 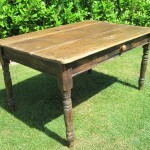 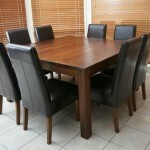 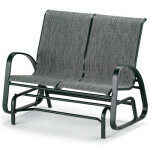 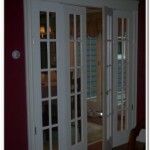 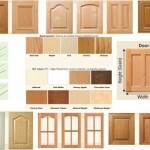 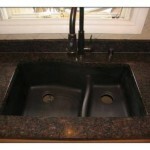 If you find a material that is easy to break down the amount of DIY designs that are available opens up a great deal. 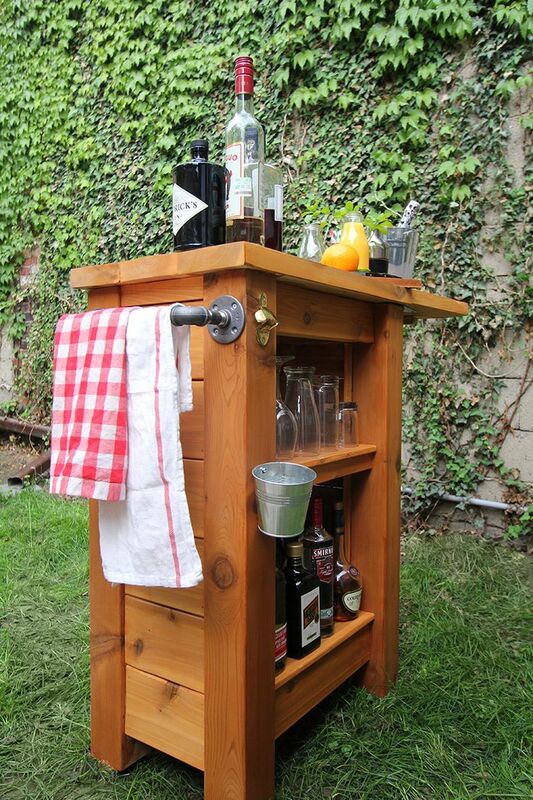 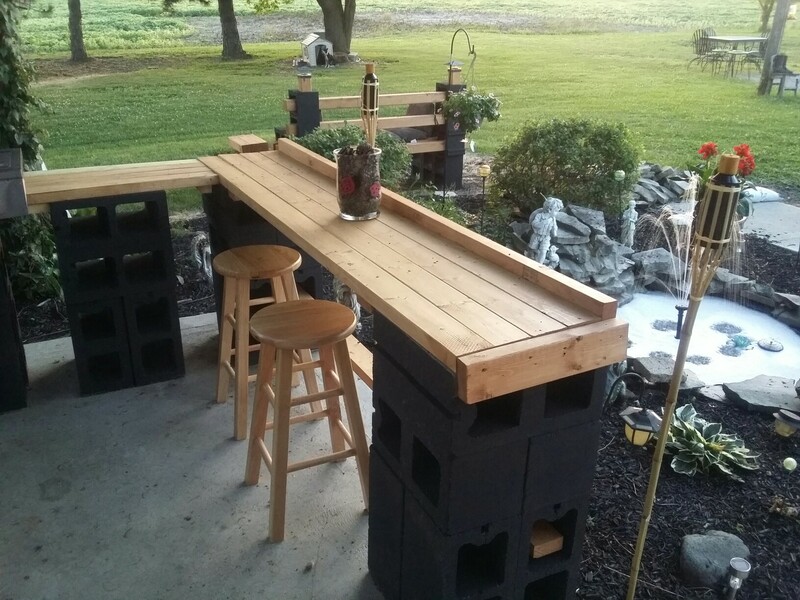 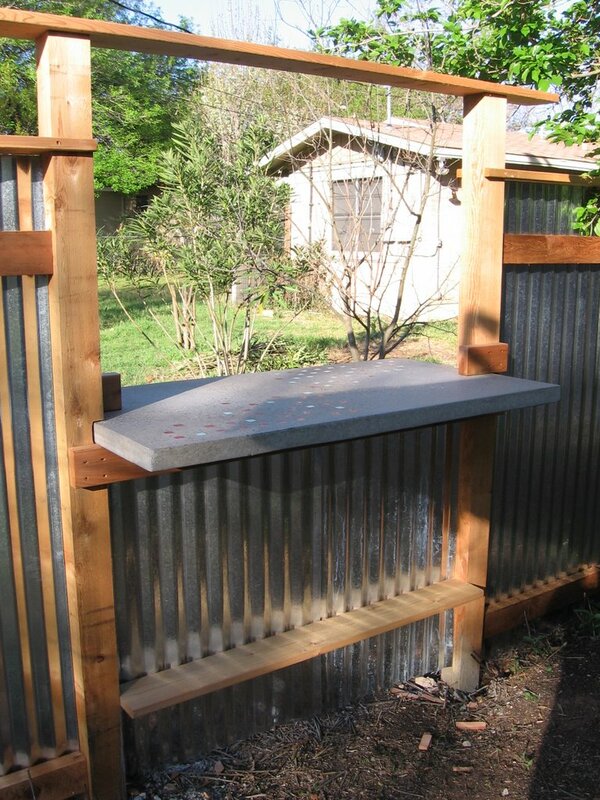 You really only need three solid walls for your DIY outdoor bar to be functional. 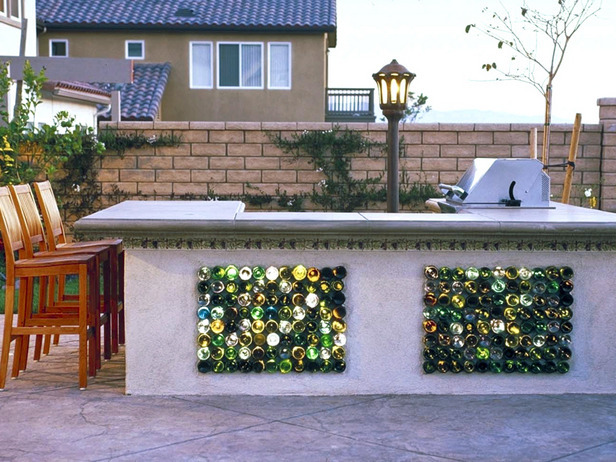 It would be a good idea to have a few selves underneath your outdoor bar, so that you have a place to put the refreshments you want to serve. 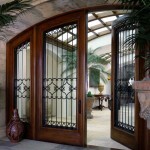 At the end of the day, your creativity is the only limit on what you can design. 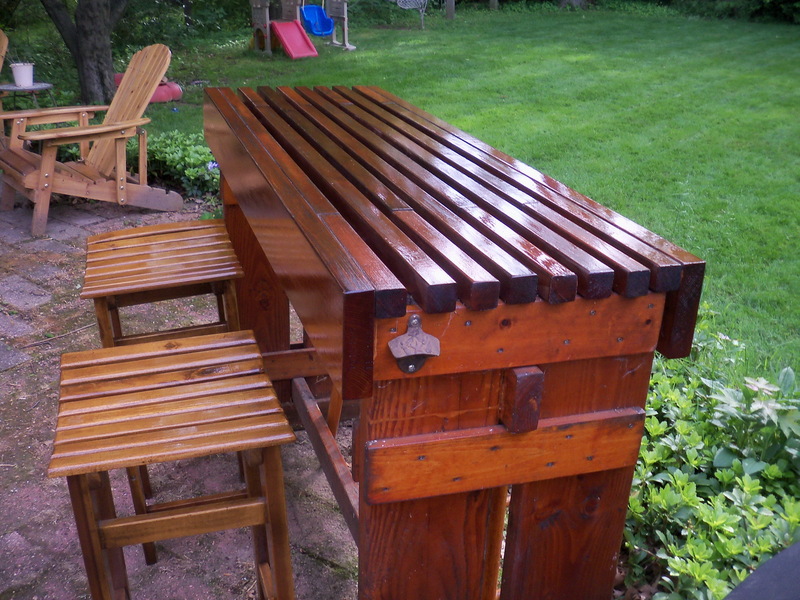 The last component to your DIY project is painting. 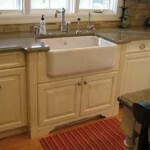 This is where your design really comes together and expresses who you are. 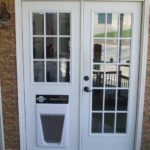 It is best to consider what is going on in and outside of your house so that you can try so stick to a them with your design. 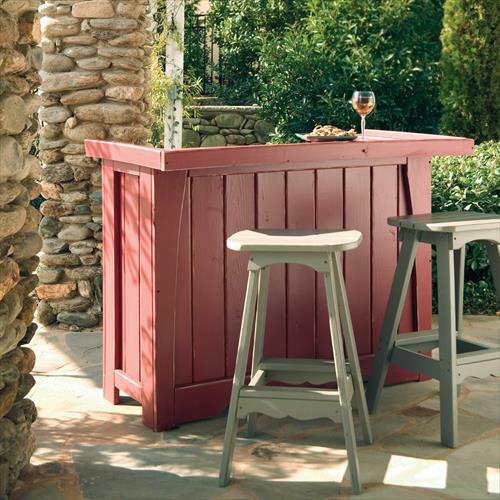 It is very easy for your outdoor bar to look cheesy and out of place if you go overboard with the color scheme. 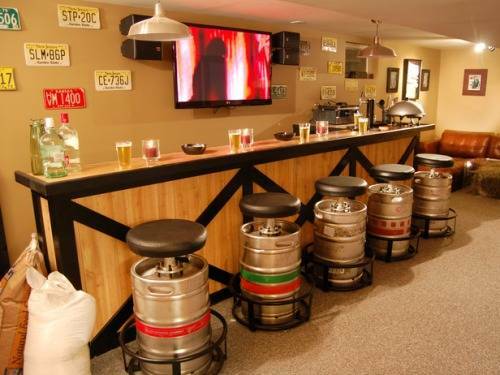 You should keep the color pallet simple and not overly complicated so that it looks like your bar design goes with the rest of your humble abode.